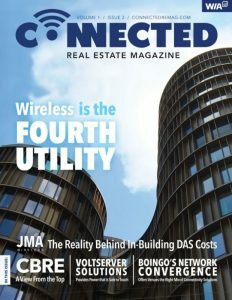 Connected Real Estate Magazine‘s second issue is out, and V‑COMM made its second appearance! You can read President Dominic Villecco’s newest article on in-building wireless fundamentals and DAS deployment on pages 63-64 by clicking here, or downloading it from the link below (available soon). Let us know if you’re enjoying our column so far!